Here at Oakville Infiniti we believe that you deserve the same great service regardless of whether you’re buying new or used. 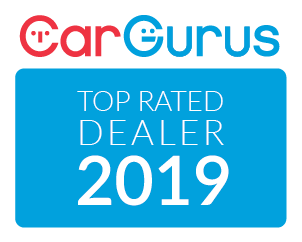 That’s why we maintain a large pre-owned inventory of luxury sedans, coupes, and SUVs for discerning customers across Niagara Falls, St. Catherines, Hamilton, Mississauga, and Oakville. From the latest models like the Q50, Q60, QX30, QX60, or QX80, to vehicles created by other premium manufacturers like Mercedes-Benz, BMW, and Audi, our Pre-Owned Inventory has it all. And you can buy with confidence knowing that every vehicle on our lot has been professionally inspected to ensure its quality and reliability. So the next time you’re consider a pre-owned luxury vehicle – remember Oakville Infiniti is the best choice in Oakville and the surrounding area. Do you want to purchase a practically new Infiniti for the price of used? Then perhaps it’s time to consider purchasing Certified Pre-Owned! These Infinitis offer all the advantages of buying new, but without the associated price tag. Looking to get an even better deal on your next pre-owned vehicle from Oakville Infiniti? Check out our Pre-Owned Specials to find quality sedans, coupes, and SUVs for thousands less than normal. Be sure to check back regularly, as these deals are always changing!